incompleteness and undecidability theorems which are very elegant and easy to understand. The discussion of semantics makes clear the important distinction between standard and nonstandard models which is so important in understanding puzzling phenomena such as the incompleteness theorems and Skolem's Paradox about countable models of set theory. Some of the numerous exercises require giving formal proofs. A computer program called ETPS which is available from the web facilitates doing and checking such exercises. 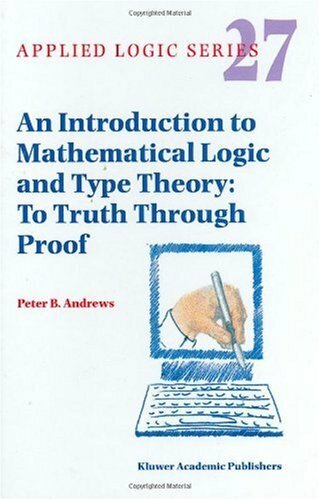 Audience: This volume will be of interest to mathematicians, computer scientists, and philosophers in universities, as well as to computer scientists in industry who wish to use higher-order logic for hardware and software specification and verification.